As the technology landscape grows and evolves with new devices, new software, and new platforms, keeping tabs on an organization's IT assets is a moving target. How can you gain accurate visibility of software assets to drive strategic and financial decisions that impact finance and reduce security risk? 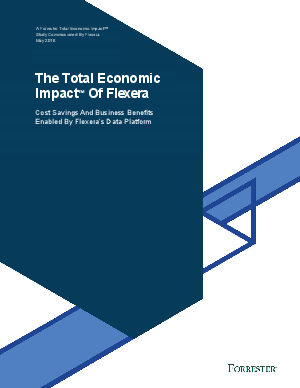 Get the full study to learn how your business can benefit from Flexera solutions.